July 18, 2013 - Today UK Air Accidents Investigation Branch (AAIB) released an AA1B Special Bulletin S5/2013 which may shed some light as to the cause of the fire onboard Ethiopian Airlines Boeing 787 Dreamliner. An examination of the fire affected area has focused on the Emergency Locator Transmitter (ELT). Two Safety Recommendations have been made. Last Friday an Ethiopian Airlines Boeing 787-8 Dreamliner, registration number ET-AOP encountered an onboard fire. 787 Dreamliner was parked at London Heathrow airport unoccupied it was to depart later in the day, Flight ET701 for Addis Ababa, Ethiopia at 9 PM. The aircraft was grounded. An employee in the air traffic control tower noticed smoke coming from the aircraft and activated the crash alarm. Firefighters at London Heathrow Airport Fire Department arrived within moments of the alarm in which they discharged water and foam on the aircraft. When the firefighters entered the aircraft they encountered thick smoke. They noticed that at the rear of the aircraft there was a fire above the ceiling panels. They ripped out the ceiling panels at the location of the fire, hosed it down and extinguished the fire. Over the past several days investigators have concentrated their efforts around rear fuselage of the aircraft, in the area of the highest temperatures when the fire occurred. At this location is where the aircraft's Emergency Locator Transmitter (ELT) is located. The Boeing 787-8 Dreamliner ELT model installed has a set of chemical batteries using a Lithium-Manganese Dioxide (LiMin02) composition which allow the ELT to operate in an emergency situation entirely independent of the aircraft's electrical power system. Examination of the batteries has shown some indications of disruption to the battery cells. Investigators are not sure if combustion in the area of the ELT was initiated by a release of energy within the batteries or by an external mechanism such as an electrical short which may have caused the fire. Boeing reports the manufacturer of the ELT has produced over 6,000 units servicing range of aircraft and none of them have produced a thermal event. However, had such an event had taken place while the aircraft was in-flight it would have been very difficult for the cabin crew to put out the fire posing a significant safety concern, given that the ELT is located in the cabin ceiling, bind ceiling panels. As a result AAIB issued safety recommendations. 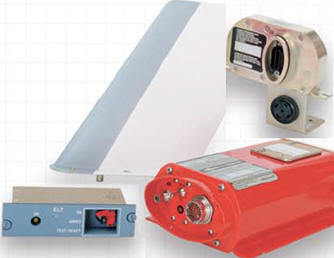 1) It is recommended that the Federal Aviation Administration initiate action for making inert the Honeywell International RESCU406AFN fixed Emergency Locator Transmitter system in Boeing 787 aircraft until appropriate airworthiness actions can be completed. 2) It is recommended that the Federal Aviation Administration, in association with other regulatory authorities, conduct a safety review of installations of Lithium-powered Emergency Locator Transmitter systems in other aircraft types and where appropriate, initiate airworthiness action. ALPA And A4A Testify Before Congress On Preclearance Facility In Abu Dhabi, Support U.S.